Once a year, roads will be closed and traffic will be at a virtual standstill in Johor Baru. Public transport will be rerouted and many businesses will close early. Schools will dismiss afternoon sessions early for students to get home quickly so that they can join the throng who will converge in the heart of the city. If you are familiar with the Lunar New Year celebrations in JB, then you will know that this is all about the Chingay parade, an annual tradition that has been kept in this city since the 1800’s without any interruption except during the Japanese invasion in 1942. This spectacular show has been held on such a grand scale that it is not only a tourist attraction with foreign media coverage but has also been filmed by the Teochew Broadcasting channel and screened in China. 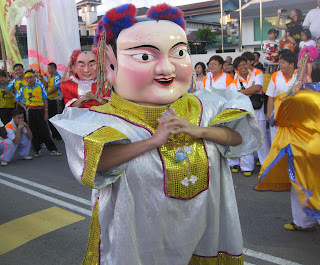 After the JB Chingay was honoured as the Best Domestic Event in the 2009 Johor Tourism Awards, Prime Minister Datuk Seri Najib Razak graced it in 2012 and certified the parade as a National Cultural Heritage. 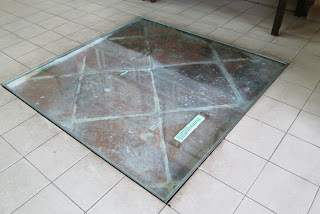 To understand the significance of the JB Chingay, you should take a peek into the Johor Gu Miao or Ancient Temple that uniquely houses 5 deities, “Zhao Da Yuan Shuai” (Hainanese), “Hua Guang Da Di” (Cantonese), “Gan Tian Da Di” (Hakka), “Hong Xian Da Di” (Hokkien) and “Yuan Tian Shang Di” (Teochew). In the late 19th century a group of Chinese community leaders led by Tan Hiok Nee, built the temple which is dubbed “the temple of unity” and its opening was officiated by Sultan Abu Bakar in 1870. 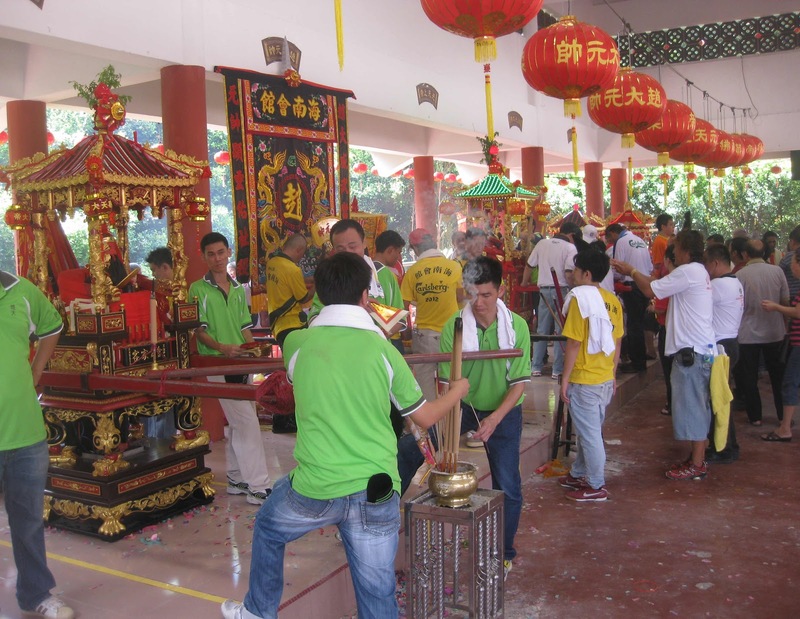 With their worship united in one temple, the early Chinese community in JB prospered as they lived in peace. 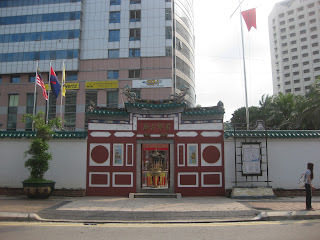 Unlike other Chinese temples that usually bear the name of deities, the Johor Gu Miao is believed to be the first Chinese temple in Malaysia to be named after a State. The strong relationship between Johor’s ruler, Temenggong Ibrahim and the Chinese immigrant community was the underpinning reason for the word “Johor” to be incorporated into the temple’s name. His son, Sultan Abu Bakar, encouraged the Chinese community to live in peace and continued the goodwill relationship started by Temenggong Ibrahim. In JB, the Chingay procession is a religious celebration led by the Johor Baru Tionghua Association where the temple deities are taken on an annual “tour” to bless the city with peace, prosperity and harmony. Carried by devotees from the 5 Chinese clans, the deities take to the streets accompanied by traditional lion dancers, dragon dancers, stilt-walkers, puppeteers, pugilistic troops, cultural dancers, colourful floats and brass bands that will take more than 7 hours to complete. The annual celebration begins with a Lighting-up ceremony at Xing Gong, a temporary shrine at Jalan Ulu Ayer Molek for the temple deities. Two days ahead of the procession, a group of devotees will walk the streets sounding gongs in a symbolic Street Washing ceremony, a ritual cleansing of the route in preparation for the temple deities’ annual city “tour.” This ceremony somehow triggers off rainfall as Nature cooperates to wash the streets with refreshing showers. 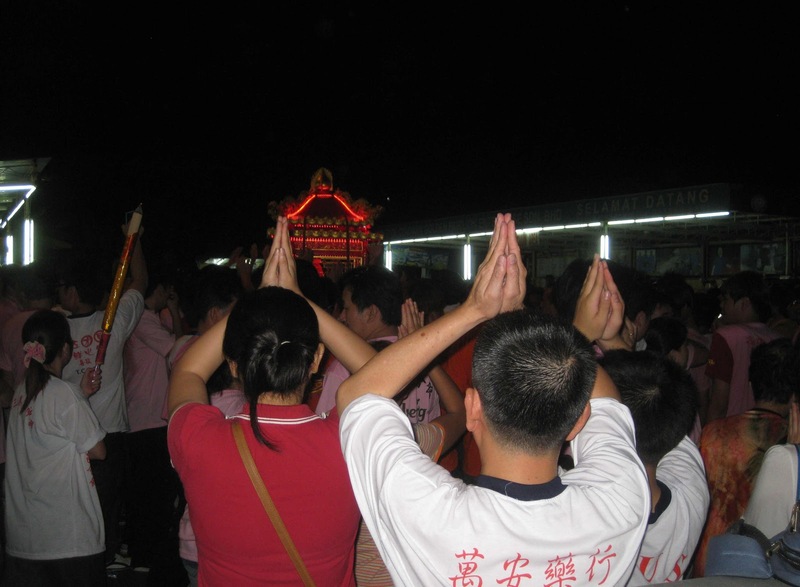 In the morning of the 20th day of the first lunar month, devotees will carry the deities out on sedan chairs to Xing Gong. The festive mood continues over the next three days as throngs of pilgrims and devotees converge at Xing Gong where they can also enjoy traditional stage shows that feature classic Chinese operas performed in various dialects. 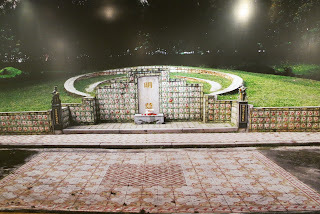 Before the JB Tionghua Association developed this area, the stage shows were presented on traditional make-shift wooden stages set up on its grassy hillock. Now Xing Gong is better organised with a concrete shelter for the 5 deities of the Johor Gu Miao to assemble there. The highlight of this celebration is the Chingay parade on the evening of the 21st day when the deities are taken out in a procession through the city’s main streets. The colourful procession will move in a circuit that starts from Jalan Ulu Ayer Molek down to Jalan Ibrahim and return along the length of Jalan Wong Ah Fook and Jalan Tun Abdul Razak, back to Xing Gong. 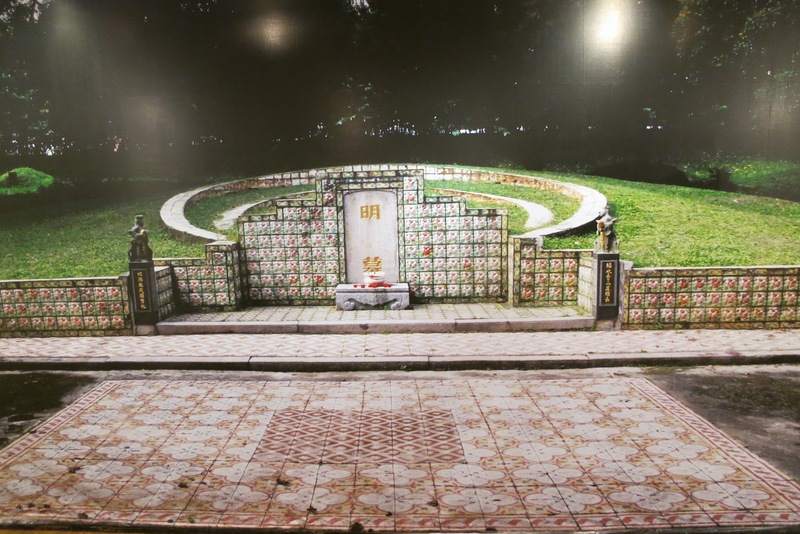 In the morning of the 22nd day, the deities will leave Xing Gong and return to the temple until their annual tour of the city next year. On March 2, the 21st day of the first lunar month, the heart of JB is going to be thronged by devotees and spectators who will line the streets to catch a glimpse of this pulsating parade. If you want to be part of this exciting evening, go early to find your strategic spot for the best view and do not fret if you get caught in vehicular and human traffic. Just go with the flow and enjoy the sights and sounds of JB’s annual Chingay! My phone rang and I answered a call from kak Mariam. She soundly a little anxious and started with, “Hello Peggy, I’ve got a problem!” My heart sank and I quickly asked, “How can I help?” When I learnt what her “problem” was, I heaved a huge sigh of relieve. She did not know where in JB to find halal steaks for her guests to enjoy! I chuckled at her dilemma and did not hesitate to give her directions to Grill Bar and assured her that all meats served there are not only from halal sources but will be prepared to her satisfaction. Mariam is a good cook and also enjoys being a good host to guests who (from what she told me), seemed to be connoisseurs of good food. I reassured her that her guests would have a good time and encouraged her to make any specific food requests known to the helpful waitress. It was a pity to destroy this American Onion Blossom! It just feels good to know that my recommendation turned out well all around. I believe a dining experience begins the moment you step into the restaurant and if the parking was also convenient, it will also contribute to the overall experience. But just as Mariam and other regulars know, the pleasant dining experience in Grill Bar overshadows the issue of finding parking in that area, which is perpetually crowded! As I quietly basked in the reflected glory, I’m pleased that the food and service at Grill Bar remains consistently good! 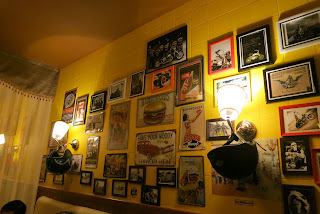 Since my first experience in 2011, I’ve been dining there with different people for lunch and dinner over the years and our experiences have always been pleasant. It’s interesting that my guests end up feeling so impressed with the meal that they spontaneously offer their compliments to Chef Ozzy! So when my nephew Aaron was back from Australia for term holidays, I invited him for dinner at the Grill Bar. Brought up watching the Food Channel on TV with his mother, this young man is a true connoisseur of good food and now living abroad as a student, he is creating his own recipes for meals. 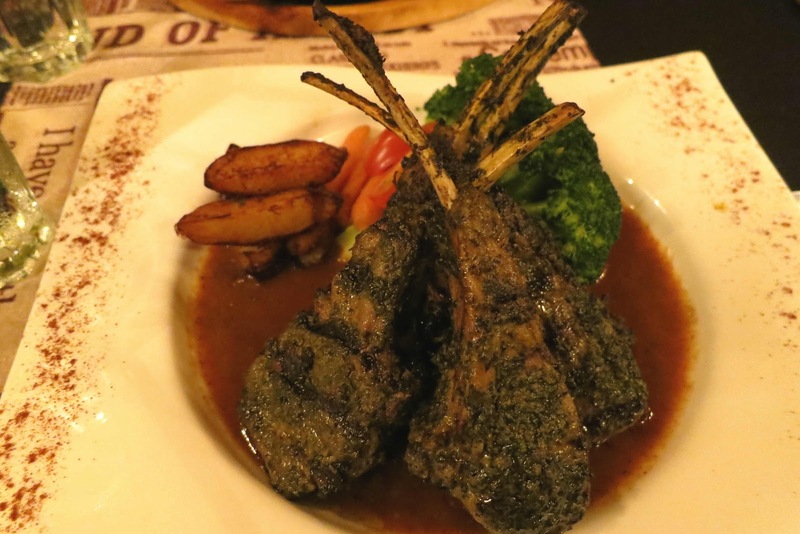 Born with an adventurous palate, he enjoys eating in a host of good restaurants locally and abroad, and was thrilled to savour what JB has to offer. 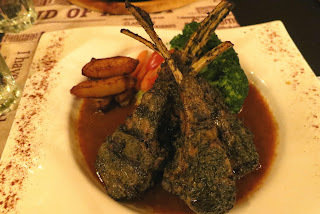 When we stepped into Grill Bar, I noticed that the ambience felt slightly different since my previous visit because the décor and lighting was enhanced for a more comfortable and cosy feel. For a week night, the restaurant was serving almost a full house and I was glad for Chef Ozzy because this place appears to be a preferred choice for many. I did not make any reservation but was pleased when the waitress greeted me by name and led us to an available table. She dragged a large chalk board over to introduce the day’s specials and left us to make our selections from either the board or the menu. We conferred briefly over the choices and placed our orders – reassured that it will not be too much because we had Aaron to help us if any one could not finish our portion. By this time, word had reached Chef Ozzy that I was “in the house” and as I turned around, I spotted him in the kitchen through the glass panel – waving me a greeting – and I acknowledged with a wave! Check out the size of this vegetable portion! Food was being served to tables around us and as I caught wafts of delicious flavours, my mouth started to water. 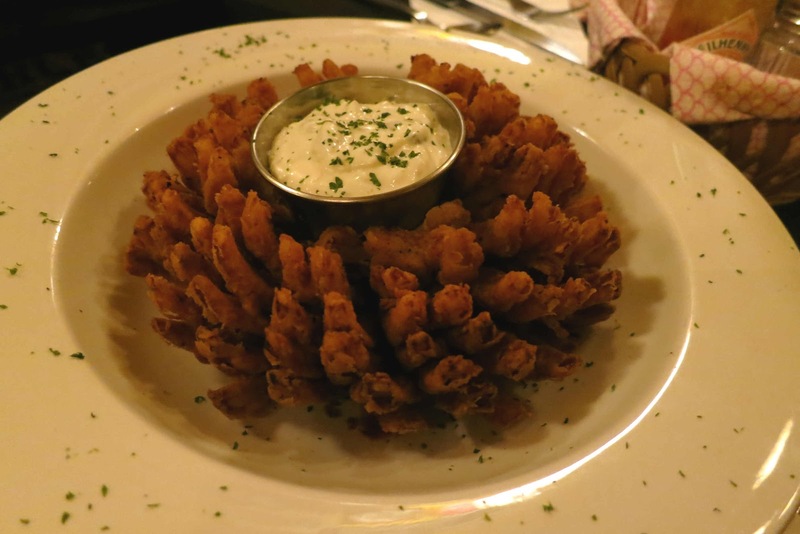 I was delighted when our American Onion Blossom appetizer arrived and even though it was a pity to destroy its pretty presentation, we dug into the batter-fried crispy layers with our fingers to savour its delightful taste with a dollop of creamy horseradish dip. 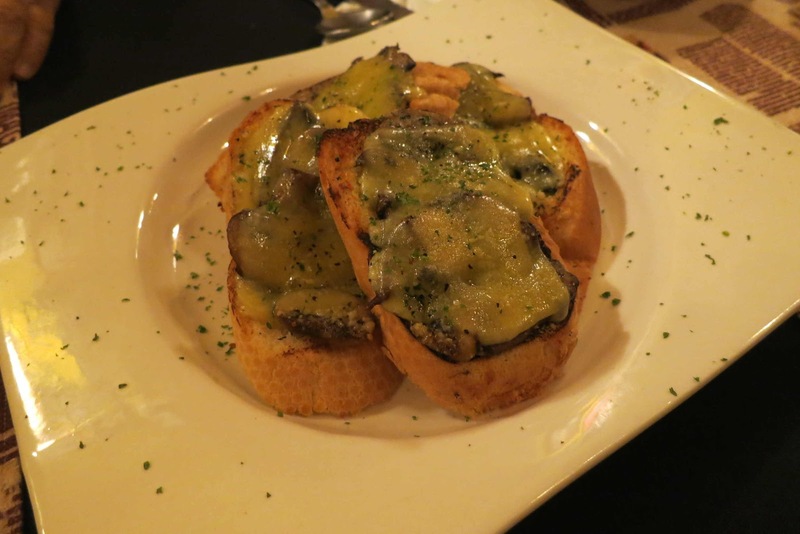 The crispy bruschetta topped with generous portions of sliced mushrooms and melted cheese was just right while a small Garden Salad drizzled in a special house dressing was simply refreshing. A generous portion of tender Lamb Shank on my pasta! 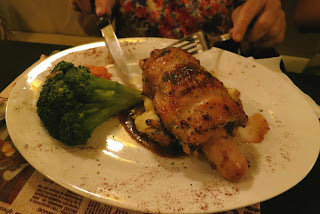 Our lamb and chicken main courses were, as expected, very satisfying but I found the portion of greens exceptionally big! Instead of a meager pile of tiny florets tossed with carrots, ours was a single giant floret of broccoli that matched the size of the meat on each plate! I have no complaints about the generous portion but wondered if it was a special portion for me. So I stole a surreptitious glance at the nearby tables and saw that this was the usual size of greens they served with other main courses! Even though my lamb shank pasta did not come with a side of greens, there was plenty from the others’ servings to share with me. 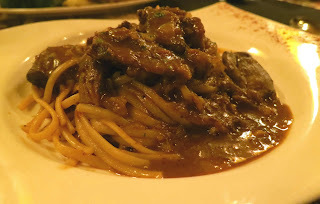 To put it very simply, the lamb shank pasta was simply sumptuous! I finally found my kind of pasta where there were more ingredients – gorgeous tasting, tender pieces of lamb shank – than pasta! Yum! Once again Chef Ozzy delivered! Grace Lim, 45, the third of 6 siblings, grew up in Kampung Kayu Ara Pasong, a village near Pontian. 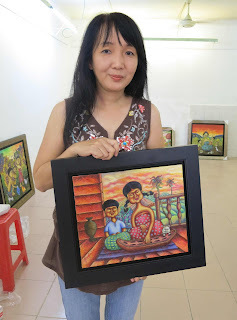 The rustic scenes she saw as she walked to school with her brothers and sisters, passing through rubber estates and the backyards of Malay kampongs or villages, are an inspiration for her art. Lim recalls how they played hide-and-seek with their neighbours, caught tiny fish from clear streams and thrilled to an over-active imagination – sometimes even imagining ghosts chasing her as they walked through lonely paths! During the school holidays, Lim and her cousins had more outdoor fun together when they stayed with her maternal grandparents in a village in Ulu Choh. At age 12, Lim had an early experience of drawing human figures when she sketched an A3 size portrait of her grandmother using 2B pencils. This portrait is a family treasure which remains proudly displayed in grandfather’s house to this day. 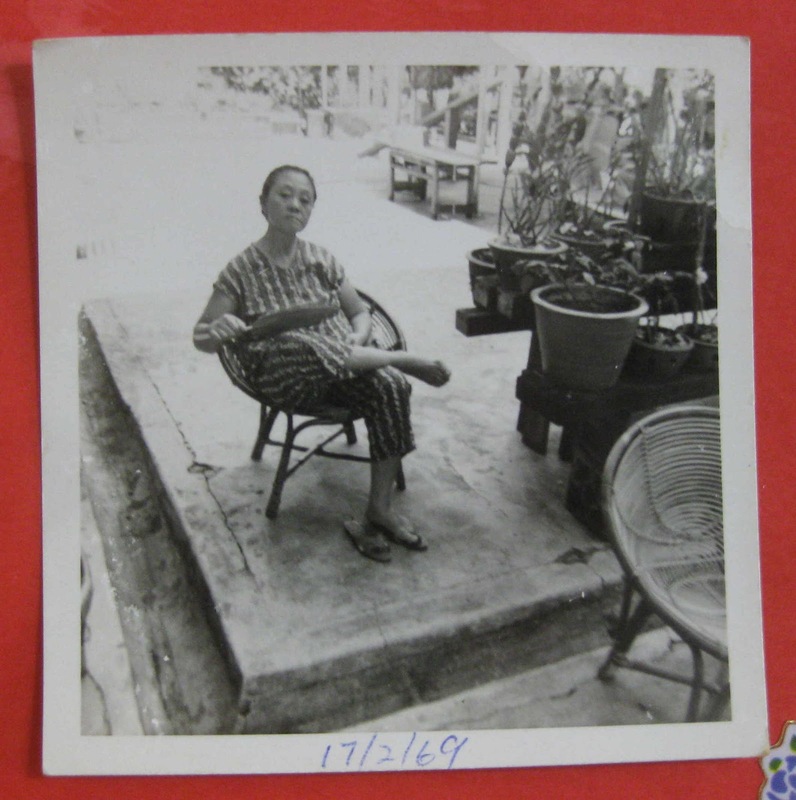 Art, obviously, was her favourite subject in school and even though she excelled in drawing and painting, Lim did not take it seriously until she started working in Singapore. Determined to hone her skills in art, she took a part-time course with a Graphic Design School and armed with her qualifications, she embarked on a career in Graphic Designing. 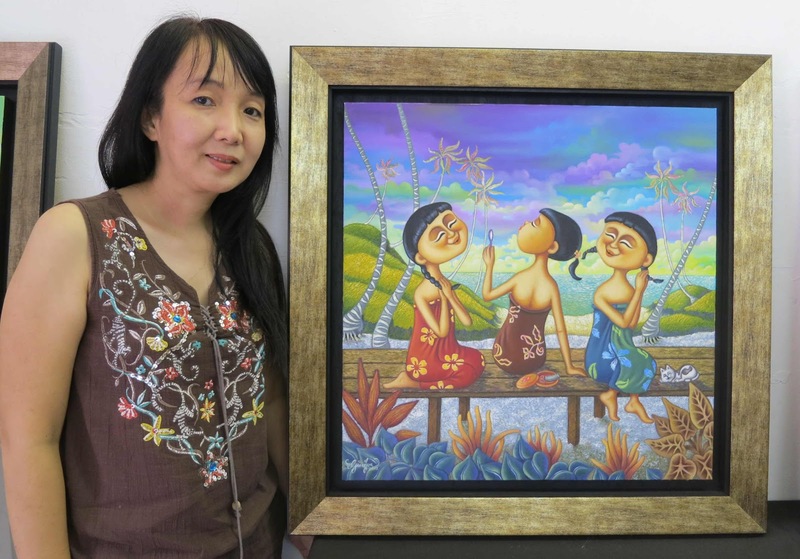 As she worked with a silkscreen printing company, Lim not only found success and satisfaction in her job but she also met and married Eric Tan in 1995. Encouraged by her husband, who also has an appreciative eye for art, Lim began to focus on her painting in 2005. She started painting water-colours mostly of landscapes with kampung scenes and seascapes that featured kelongs and sunsets. Lim then went on to explore painting still life in the Peranakan theme as well as semi-abstract pieces of tropical flowers using an impasto technique. Very soon Lim discovered that her preferred medium of painting is in oil colours and her signature painting style is a form of naïve art. Her signature style with bold strokes, bright colours, cute faces and curvy figures, is characterised by simplicity in subject matter and technique, and influenced by her early impressions and experiences of village life. Inspirations from her childhood memories married with a vivid imagination for an idyllic tropical paradise are expressed in her paintings. 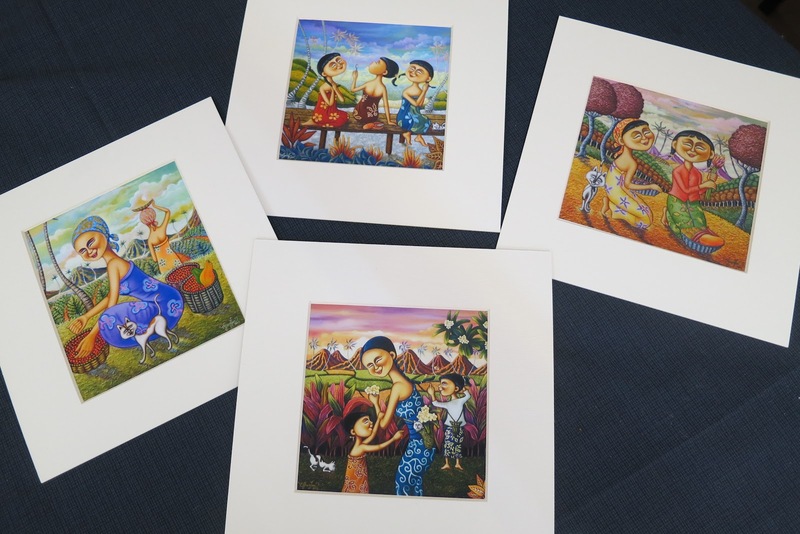 And when her first piece of naïve art featuring children eating coconuts under a tree, was sold, Lim was very encouraged. 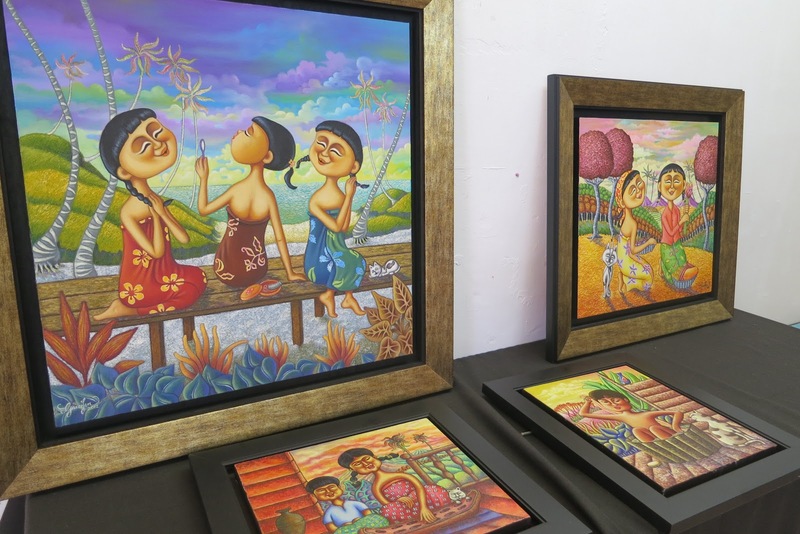 A series of Lim’s paintings entitled, “Back to Nature” are presented in her first solo exhibition in the Old Street 52 Studio at Tan Hiok Nee Heritage Walk from now till March 2. These oil-on-canvas pieces with rural scenes are inspired by Lim’s Malaysian kampongs experiences but elements from her imagination renders them as uniquely Asian. 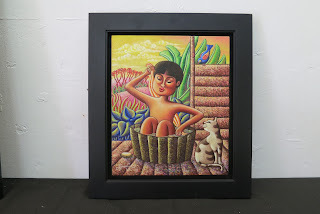 Some of Lim’s paintings are also reproduced in museum quality Limited Prints. The exhibits in “Back to Nature” are for sale with a percentage for donation to the fund-raising effort of Care Haven Children’s Home in Taman Rinting, Masai. “The Home has a vision to start an Eco Farm for the children to enjoy being closer to Nature and to provide jobs for the youngsters,” said Lim, a mother of two who has a heart for needy children. Lim said her paintings depict scenes of a lost paradise and aims to bring this beauty back through her work and her support of the vision for an Eco Farm here. 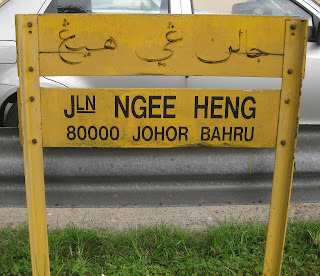 There was a time when the name, Ngee Heng, was spoken in whispers because the notorious reputation of this Teochew brotherhood was once a powerful secret society in Johor Baru. 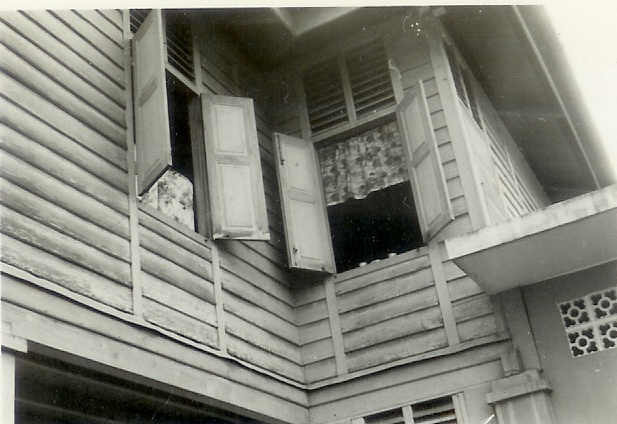 Clouded by clandestine activities, the workings of this kongsi or society remained largely misunderstood until recently. 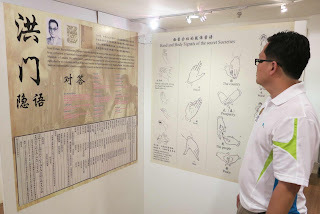 After a comprehensive research on more than 70 years in the history of the Ngee Heng Kongsi, the Johor Baru Chinese Heritage Museum is presenting their valuable findings for the first time in a special exhibition now on until Sept 10. Over the period of 12 months, the research team collected essential information from their travels to sites where the Ngee Heng society was once active in Mainland China, Singapore, Penang and the Riau Island in Indonesia. From documents and ancient artifacts, they were able to piece together, a picture of how secret societies operated in the 1800s. Even though the society started as a quasi-military revolutionary brotherhood that was opposed to the Ching dynasty, their activities in Johor Baru gradually evolved into valuable social, political and administrative work which contributed to Johor’s early economic growth. In 1844, when Temenggong Daeng Ibrahim, the father of Sultan Abu Bakar, invited the Chinese from Singapore and Riau to open up land in Johor for pepper and gambier cultivation, Ngee Heng leader, Tan Kee Soon, led his followers to settle in Tanjung Petrie (now Johor Baru). The Teochew clan was the dominant Chinese group who made Johor their new home and they cultivated pepper and gambier plantations in the kangchu system. When Sultan Abu Bakar recognised the strength and solidarity of a brotherhood like the Ngee Heng society, he legalised it as an association in 1873 with membership opened to all Chinese clans and assigned it to take charge of Chinese community affairs. Visitors to the exhibition showcased on the top floor of the museum, will walk pass red cloths that decorate the stairway as a replica of the entrance to the society’s headquarters. 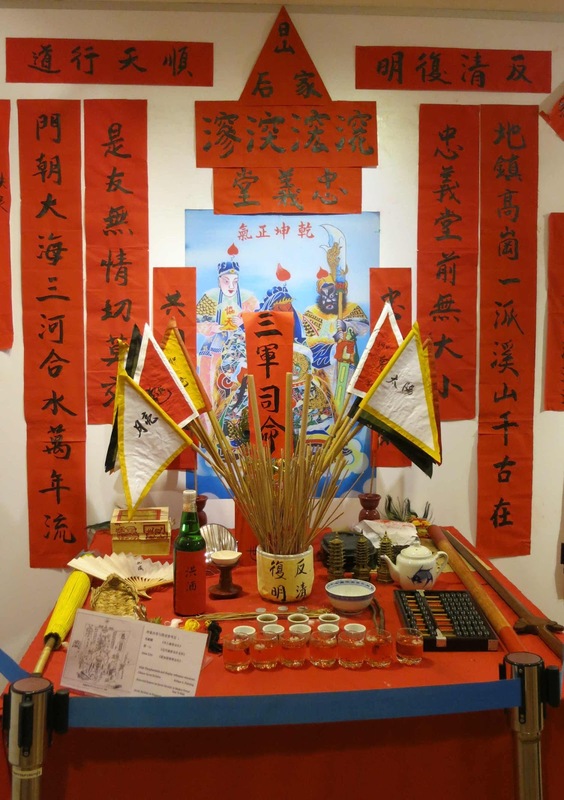 The motivating themes of these inspiring couplets painted on the cloths hint of the obscure origins of the Ngee Heng society that can be traced back to Shaolin monks who were loyal to the Ming emperor. 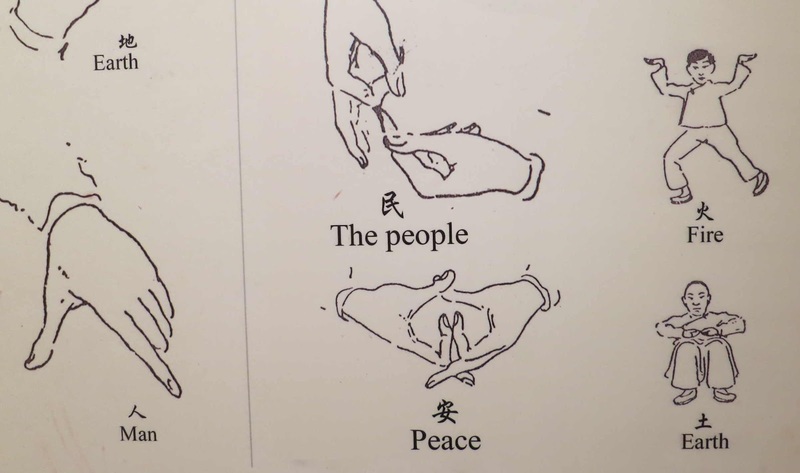 After invading Ching armies forced them out from their monastery, the monks reverted to civilian life and vowed to defend their patriotic cause. As revolutionaries, their activities were largely underground with a tradition of covert activities that used secret codes and languages. 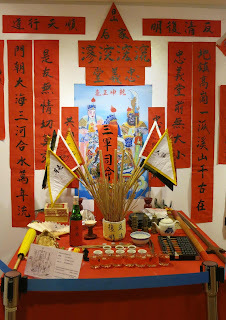 While the characteristics of the society evolved over the years in Johor Baru, it is believed that the Ngee Heng society derived from the Hong Men or Red Door society, a group that developed from the Tian Di Hui or Heaven and Earth society. When you step into the exhibition hall, your eyes will be riveted to a towering pair of giant mythical birds that the Ngee Heng society adopted as their symbol. These are believed to be Da Peng Niao, mythical giant creatures that are likened to the Javanese garuda. It is interesting that as far back as 1400, the Chinese emperor of the Ming Dynasty was the first to use the word Peng as an adjective to describe his army as Peng! On a mock altar, there is a host of paraphernalia used for the rituals to swear members into the brotherhood. You can have a better insight into blood oaths taken in front of an altar by viewing movie snippets in a documentary screened in a section of the exhibit. “The sworn brothers take this oath very seriously,” said Eric Ku, Deputy General Manager of JB Tiong Hua Association, as he referred to the list of 36 Oaths of the Ngee Heng Kongsi displayed on the wall. A chart outlined the hierarchy in the brotherhood, listing Da Ke or Big Brother above, overseeing members in several ranks below him with Ma Zai or Little Horse, at the bottom rung. “Members of the brotherhood are so close that each member considers another brother’s problem as his own,” he added. When Johor became part of the Unfederated Malay States under the British colonial authority in 1914, the kangchu system was abolished and the Ngee Heng kongsi was disbanded. The society’s assets were dissolved and contributed to charity with a sum set aside to build a tomb for the burial of all their ritual and sacred objects as well as ancestral tablets. 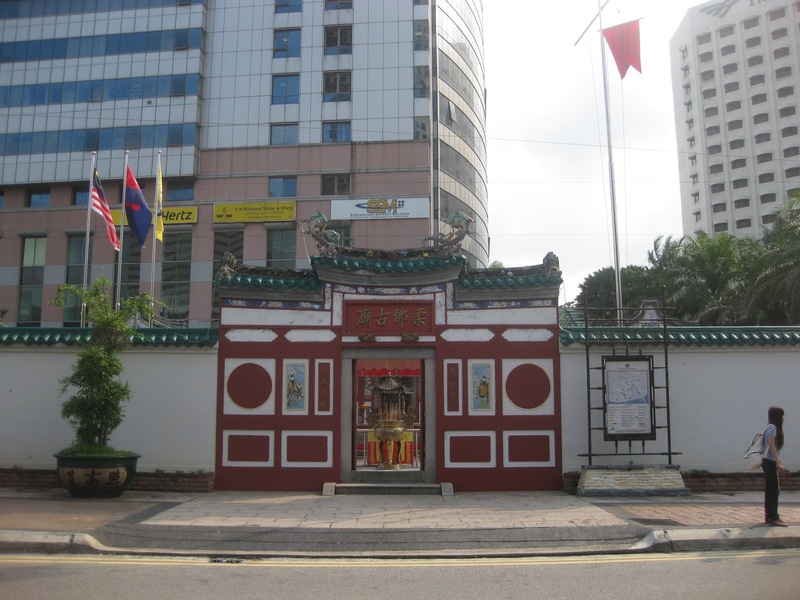 As a mark of respect, JB Chinese community leaders will perform ancestor worship rituals twice a year at this tomb, located close to Jalan Abdul Rahman Andak that is simply adorned by two Chinese characters: Ming Mu meaning Ming Tomb. 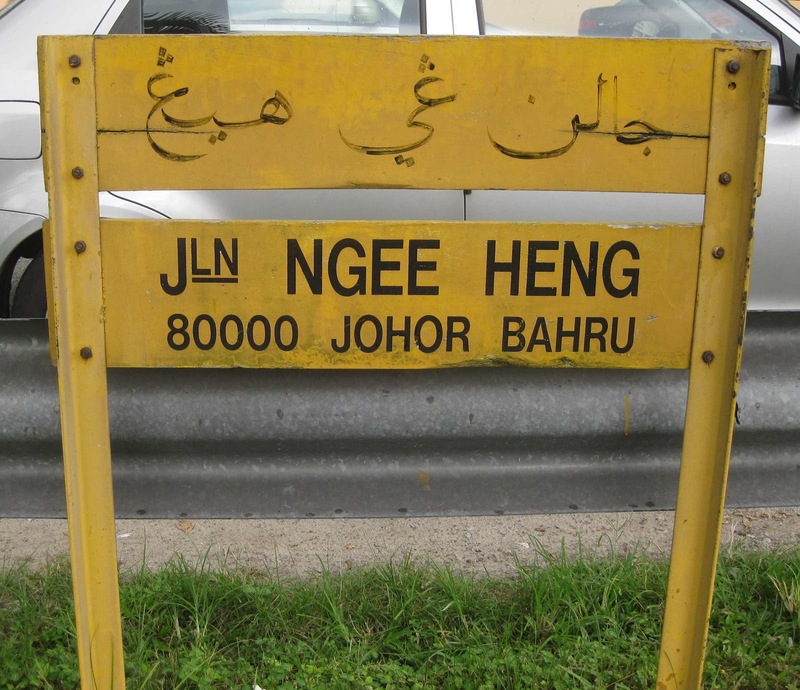 The legacy of Ngee Heng kongsi and its renowned leaders lives on in JB with its name honoured in Jalan Ngee Heng, Kampong Ngee Heng, Ngee Heng Primary School, Jalan Tan Hiok Nee and Jalan Ah Siang. United with the other Chinese clans as a legal society in JB, they built the Johor Ancient Chinese Temple, established a common cemetery they called Kongsi San and started the Foon Yew School. The unity among the five Chinese clans in JB marked the birth of an organisation that eventually developed into the JB Tiong Hua Association of today. 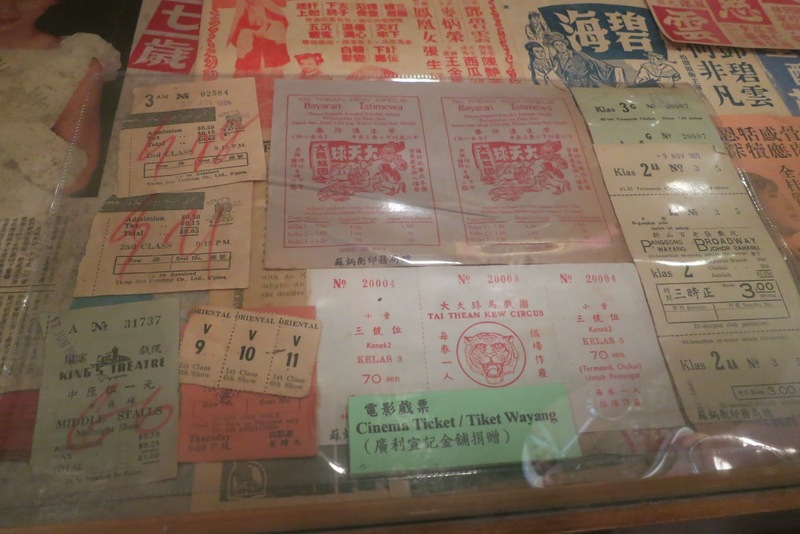 Inside a glass showcase at the Johor Baru Kwong Siew Heritage Gallery in the former clan house of the Cantonese, I saw a priceless collection of old ticket stubs to cinemas like Cathay and Broadway theatres and the Tai Thean Kiew Circus. I will never forget watching this circus inside a huge tent and thrilling to the live animals performances. 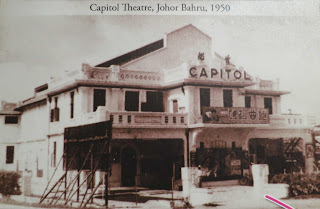 In those days, it was a big treat to go for a show and I remember how my grandparents had regular movie dates to watch Chinese opera films at the old Capitol theatre. Going to the movies was one of the most affordable public entertainments then and grandfather or Ah Kong, was particularly familiar with the manager James Ho, a personality who was synonymous with JB’s Capitol theatre. It was free-seating for some thung thoi or live shows, by visiting Hong Kong opera stars, so by the time my grandparents walked from Jalan Ngee Heng to Jalan Station, their favourite seats might be taken. So Ah Kong had an arrangement with Ho who helped with reserving two seats by tying a handkerchief to indicate that the seats were booked! This method for reserving seats is certainly unacceptable now but in those days, there was a sense of civic consciousness where even a tied handkerchief was respected for seat reservations. Theatres then were cooled by giant oscillating fans, so grandma always had a folded Japanese-style hand-fan in her handbag to keep herself comfortable. I know they thoroughly enjoyed these shows because I often heard Ah Kong humming opera tunes as he went about watering his precious orchid plants in the garden. Ah Kong, a Teochew, also had a collection of long-playing vinyl records of his favourite Teochew operas and every now and then, he would take them out to play on a turntable. I remember how he would lie on a deckchair next to the speakers to listen and be lulled into a doze. I’m not familiar with this dialect especially in its operatic form but with sharp vocals, screeching arias to a painfully high pitch over an ensemble of string instruments, gong, drum and Chinese flute, and backed by a distinctly Teochew choral accompaniment, I often wondered how Ah Kong could ever snooze! 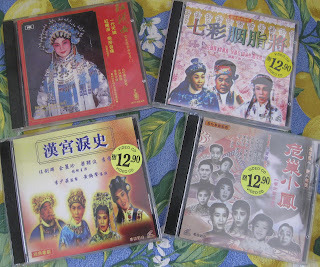 record of Cantonese opera by Yum Kim Fai! 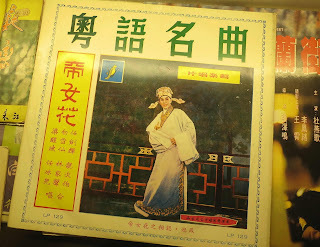 There was also a showcase that displayed vinyl records of Cantonese popular songs and vintage operas in the gallery. When I saw the actors’ photos on the record sleeves, I was amazed to discover that I’m quite familiar with many Cantonese opera actors from watching them with grandma. When I looked closer, I was amused to recognise a lead actor – Yum Kim Fai, a woman who’s not your typical fa tan or prima donna because her forte was to act as a man! My first experience of Chinese opera must have been from the made-into-movies old Cantonese operas that starred some of grandma’s favourite actors. She introduced me to popular actors like Leong Seng Por, Lei Heong Khum, Tum Pik Wan, Lum Kah Seng and child-actor, Fung Po Po, who were gifted in performing yuit kok or opera songs. At that time, my siblings and I were living with our grandparents at Jalan Ngee Heng to go to school conveniently and as school-going children we were not encouraged to watch television – a sore temptation as it was the latest luxury – but to focus on studying hard. These Chinese movies usually came on after 8pm, right smack in the time slot when we should be doing our homework and studying. I remember how we often rushed to complete our school work and then quietly sneak down the stairs to watch the show from the top steps. Sometimes we were firmly sent back upstairs and to bed but on good days, we managed to sneak down a step at a time and if there was still no objection, we would boldly edge our way closer to watch the whole movie in front of the TV! 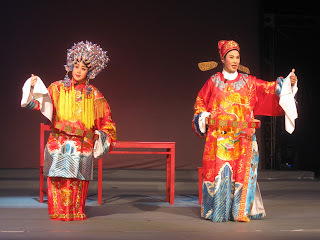 As Chinese moviemakers started to create musical movies without opera singing, these actors still had singing roles but with less archaic Cantonese lyrics set to popular tunes of the day like for example, “The River Kwai March.” A classic opera, “The Butterfly Lovers,” the Chinese parallel of a tragic Romeo & Juliet story, is forever engraved in my memory. Another mythical tale, Sup Heng Tai or the “Ten Brothers,” who each possessed incredibly super powers, is also unforgettable because of its absolute absurdity! Watching opera movies on our Black and White TV in the 1960s certainly did not do justice to elaborate costumes in rich colours and textures, matched with glittering ornaments and accessories in intricate head-dresses. 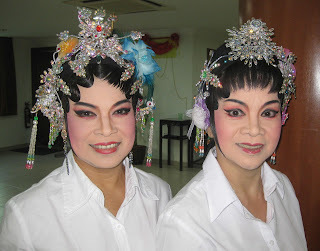 In 2010 I had the privilege to go backstage to observe an opera troupe dress for a show and I watched with fascination as ordinary people were transformed into distinct characters with skillful application of make-up and dazzling costumes. I then learnt that in Chinese opera, characters are divided into 2 main groups – Mo, those skilled in martial arts like warriors and hunters, and Mun, refined characters like scholars, maidens and wealthy women. I remember grandma’s stories of her girlhood days when her family lived close to Wong Ah Fook’s extended family in homes built around a pond near Jalan Ah Siang. When grandma spoke to her cousins, I noticed how she often lapsed into a strange sounding sing-song dialect which I later discovered is Seiyap, a Chinese dialect common among the Cantonese of Taishan origin. By paying attention to grandma’s historical anecdotes, I slowly pieced together bits and pieces to vaguely understand Who’s Who in the family. I also recall grandma talking about her cousin, Wong Peng Soon, the first Asian to win the All-England title in 1950 with subsequent victories in 1951, 1952 and 1955 and how grandfather trained with him to master the most difficult stroke in badminton – the backhand. As I gather information about Johor’s Chinese culture and heritage, I learnt more about Johor’s history and the warm relationship between the Chinese and Malay communities in the pioneering era. My curiosity about the Cantonese community in JB was stirred as I pondered about the connection between a prominent personality like Wong Ah Fook with family members, Wong Peng Soon and Wong Peng Long. There is no better way to find out more than to hear it from Dr Cheng Chean Chiang, president of the JB Kwong Siew Wai Kuan or Cantonese clan association, and Datin Patricia Lim Pui Huen, the great-grand-daughter of Wong Ah Fook who also authored several historical books including, Wong Ah Fook - Immigrant, Builder and Entrepreneur (Times Editions 2002) and Johor – Local History, Local Landscapes 1855 to 1957 (Straits Times Press 2009). 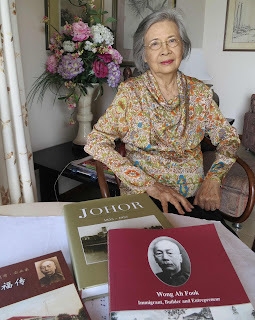 Datin Pat, as she’s fondly called, is a professional historian who gave me further insights into the social life of Chinese immigrants and their role in the development of JB from virtually a jungle into a thriving township. 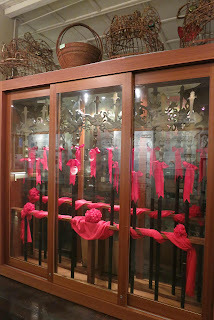 We met at the JB Kwong Siew Heritage Gallery located in the clan house and as I adjust to the dim interior, my eyes are riveted to an entire wall occupied by a Chinese altar. Enveloped by the fragrance of burning joss-sticks and with Wong Ah Fook staring at me from his portrait, I feel as if I am in a traditional ancestral hall. Wong aptly occupies a place of prominence in the Gallery and it is interesting to see twin ancestor portraits of Wong and his wife, Chew Yew, dressed in ceremonial robes or koon phow. While the costumes look grand, Datin Pat said they were traditional sau yee or funeral clothes that are considered taboo by the Chinese! She explained that under the Temenggong Ibrahim administration, Chinese planters were invited from Riau and Singapore by the ruler and given permits known as surat sungai to open land in Johor to cultivate pepper and gambier. The permit holders were kangchu’s or river masters and their plots were named after them as Tan chu kang or Lim chu kang, and some of Johor’s prominent kangchu’s were Tan Kai Soon, Tan Hiok Nee, Lim Ah Siang and Wong Ah Fook. Kang means “river” in Teochew dialect, while a kangkar is the disembarking point, usually its middle or upper reaches along the river. In those days, the Chinese had a financial system where they could work without capital and they successfully cultivated large plantations with pepper and gambier as the state’s economic crops that made Johor the world’s largest producer of gambier in the 1880s. Wong Ah Fook, the carpenter-turned-builder and successful entrepreneur, is credited for building the magnificent Istana Besar or Grand Palace, Istana Zahariah, Balai Zahariah and the Johor Baru Prison. A map poster in the Gallery outlines a special land concession granted to Wong for his services to the State and Datin Pat said she had the help of Hj Ismail Nyeh Osman to read the Jawi writing. The plot encompasses an area between present-day Jalan Sawmill to the start of Jalan Tun Abdul Razak near Komplex Tun Abdul Razak bordered by the Segget River but the British later reclaimed the land up to Jalan Station. 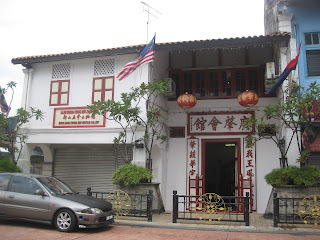 Traditionally known as Kampung Wong Ah Fook, it has side roads named after Wong’s three oldest sons, Siu Koon, Siu Nam and Siu Chin and was even dubbed as the “Asian Monte Carlo” by English writer, Florence Caddy (1837 – 1923). 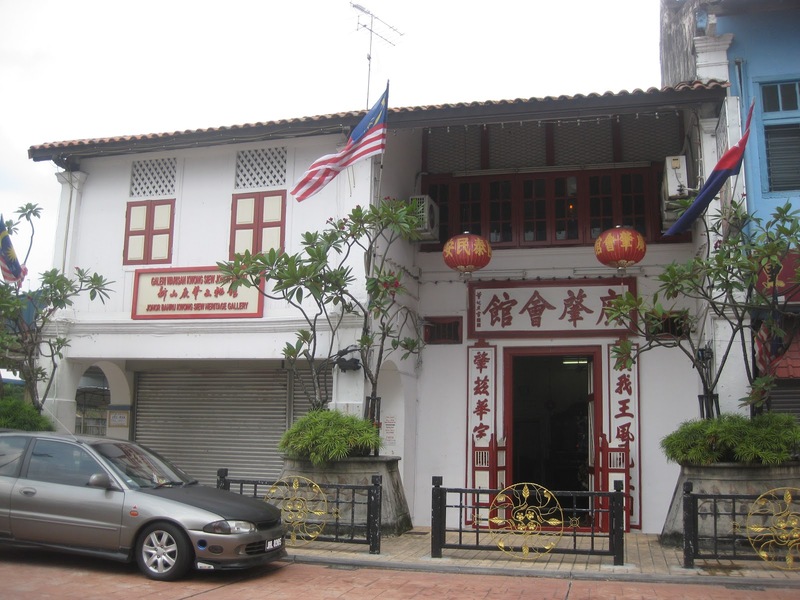 As Chinese immigrants prospered, Kampung Wong Ah Fook became the centre for leisure and entertainment, with clubs, restaurants, gambling houses, opium dens and brothels – vices that invariably follow immigrants wherever they settled – and secret society activities also flourished. At that time, gambling houses and opium dens were regarded as forms of investment and sources of much needed revenue in a developing town. 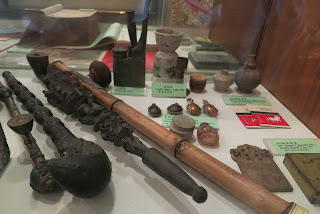 I was told that opium smokers depended on the drug to function as rickshaw pullers or plantation workers and when I saw a collection of opium smoking paraphernalia in the Gallery, it simply attests to how hardworking immigrants were hooked on this habit. In this new economy, pawn shops proliferated to meet the needs of immigrants who needed money to support their families and to send back to their homeland. With irresponsible spending and squandering of hard-earned money, these immigrants often had no alternative but to turn to pawn brokers. When a large family had a sole breadwinner, this pawn service also helped families to stretch their money for food and new clothes especially during festive seasons. And when the family had saved sufficient money, they would redeem their valuables from the pawn shop. At one time, the range of ancient musical instruments displayed in the Gallery must have made beautiful music for Cantonese operas but they are now silent. 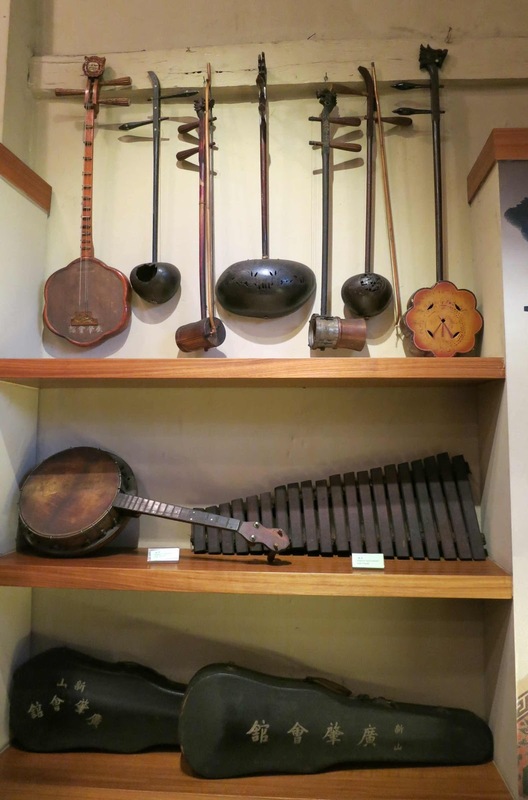 Dr Cheng commented that with the passing of master musicians, it is likely that there are few people here who know how to play these instruments now. 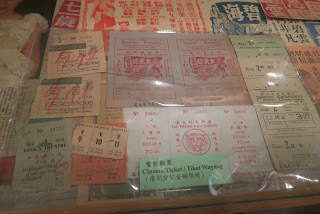 The Chinese certainly knew how to enjoy their leisure as proven by the priceless collection of old ticket stubs to cinemas like Cathay and Broadway movie theatres and the awe-inspiring Tai Thean Kiew Circus. In those days, it was a big deal to go for a movie and I remember how my grandparents had regular movie dates at the old Capitol theatre to watch Chinese opera films and I will never forget thrilling to live animals performances in that travelling circus. 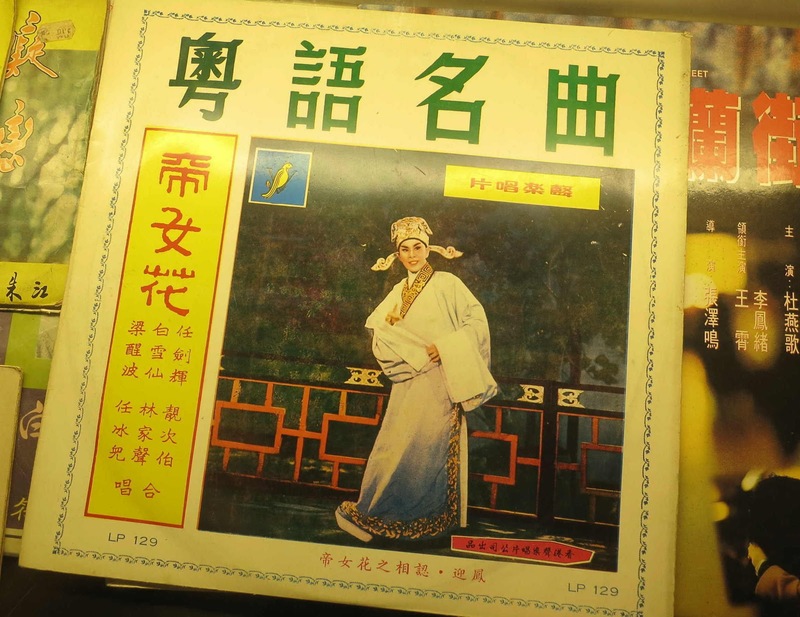 Among the collection of vinyl records in the showcase, I was amused to spot copies of opera movies now preserved in CDs and even recognised the lead actor – Yum Kim Fai, a woman whose forte was to act as a man! theatres and Tai Thean Kiew Circus! We are familiar with Wong Ah Fook, an icon in Johor history who developed close links with the Johor sultanate and established himself in building construction before gaining success as an influential entrepreneur in agriculture, gambling, banking and land development. But Datin Pat said along with Wong Ah Fook, two other Wongs – Wong Hee Coo and Dato Wong Shee Fun – should also be recognised for their contribution to the nation in pioneering, education and our independence. 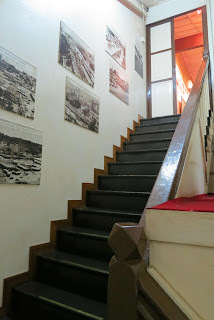 The first Chinese school in Johor Baru, Yok Choy School, founded by Wong Hee Coo and Luo Yu Sheng of Kwong Siew in 1907, used to occupy the upper floor of the clan house. This school however, catered exclusively to the Cantonese community so boys from the other dialect groups could not register to study. In 1911, the Chinese in JB held a celebration procession when the Qing Dynasty in China was overthrown by the revolution led by Dr Sun Yat Sen, and the outstanding performance by the Yok Choy School band caught the attention of the community leaders. 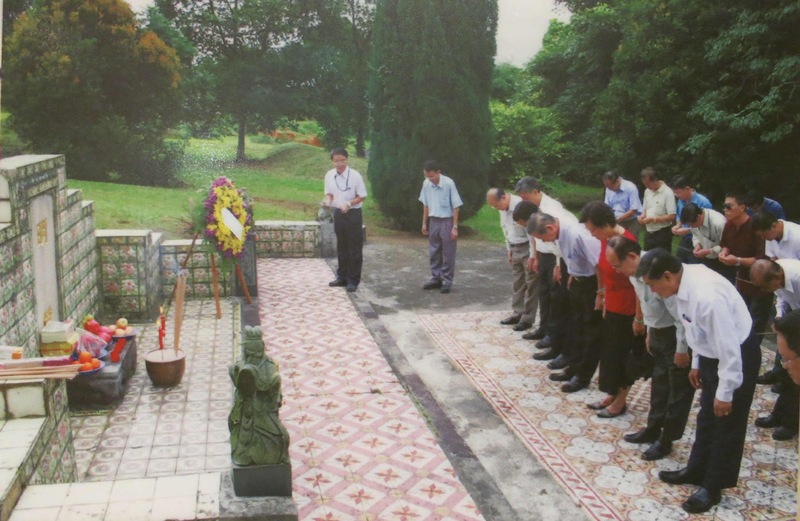 The leaders were so impressed that they started discussions on the formation of a school that was open to all the Chinese students and in 1913, Wong Hee Coo and Luo, along with Tan Ying Siang and Tay Ah Kit, founded Foon Yew School. Wong Ah Fook was appointed Head of the School Board with Lim Ah Siang as his deputy while Wong Hee Coo held various important roles in the Board over 40 years. He is regarded as the pioneer of Chinese education in JB and for his commitment and contributions to the community, a road adjacent to Jalan Tampoi was named after him. Datin Pat pointed out that the name, Foon Yew, is maintained in the Seiyap dialect in honour of Wong Ah Fook who was a Cantonese of Taishan origin. From such humble beginnings, this school has since developed into a renowned educational institution that will celebrate its 100th anniversary this year. Dato Wong Shee Fun, founder member of the Malayan Chinese Association, was the acknowledged leader of the Chinese community in the 1940s. At that time, he was also the head of the Chinese Chamber of Commerce, the JB Tiong Hua Association and the JB Kwong Siew Wai Kuan. 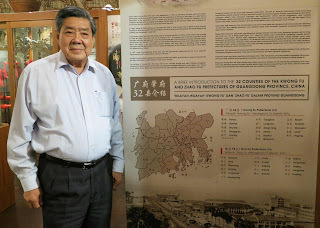 In the mid 1950s, Dato Wong successfully led a petition to convince Sultan Ibrahim with the idea of Johor as a state within the Federation of Malaya, and for an independent Federation, free from British interference under the leadership of Tunku Abdul Rahman, that paved the way for the nation’s independence. 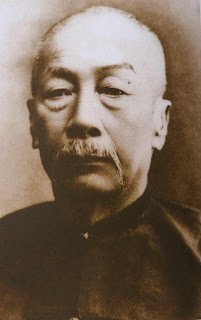 Wong Ah Fook was the first president of the JB Kwong Siew Wai Kuan for 40 years with Dr Cheng following closely as the current president for the last 34 years. 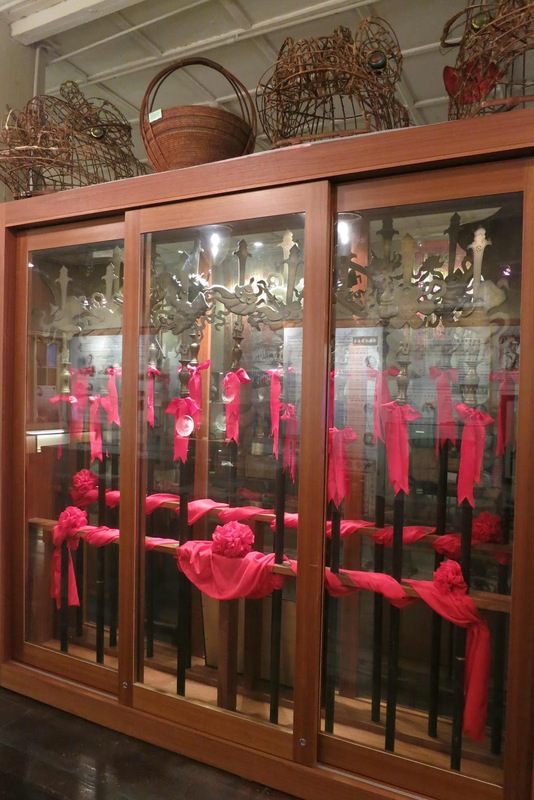 Over the years, a vast collection of artifacts was accumulated in the clan house and in 2008 Dr Cheng initiated the setting up of the JB Kwong Siew Heritage Gallery. Since the Gallery was officially declared open by Johor Menteri Besar Dato’ Abdul Ghani Othman in 2010, there are now plans to expand the Gallery to showcase more exhibits. 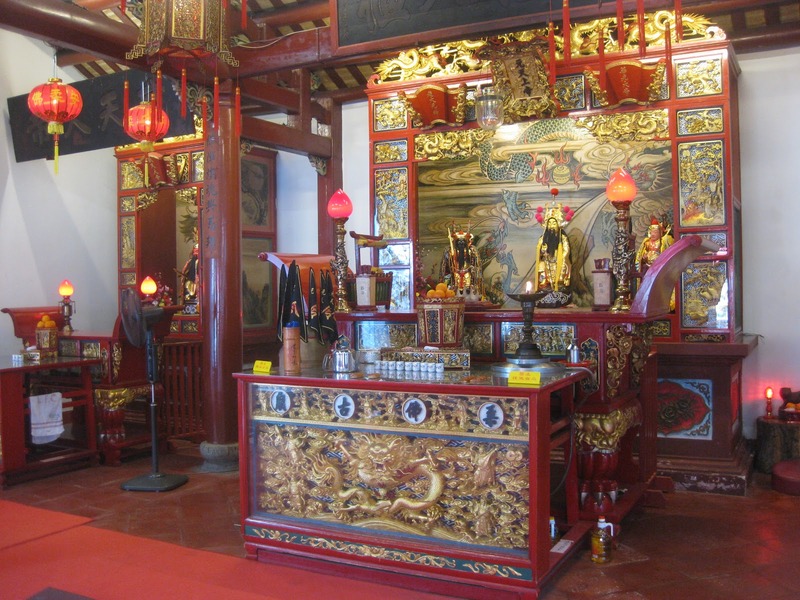 There is a special charm about this Gallery because it is housed in their clan house which occupies a double-story shop-unit, built in 1906, that was donated by Wong Ah Fook. If the walls could speak, what tales it will tell because this clan house was traditionally the transit point for early immigrants who arrived here to receive help with job placements. There was even a hospital upstairs for immigrants to recuperate if they were ill and when they retired, elderly immigrants were welcome to stay. At their demise, their wake was held in the funeral parlour in the adjacent building. 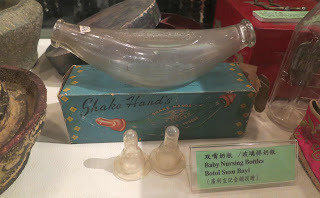 While Datin Pat showed me two hanging glass lamps that were from Wong Ah Fook’s home in Kwangchow, Dr Cheng brought my attention to a stack of large ceramic bowls or phoot, that were once used to serve food to patients in their hospital. 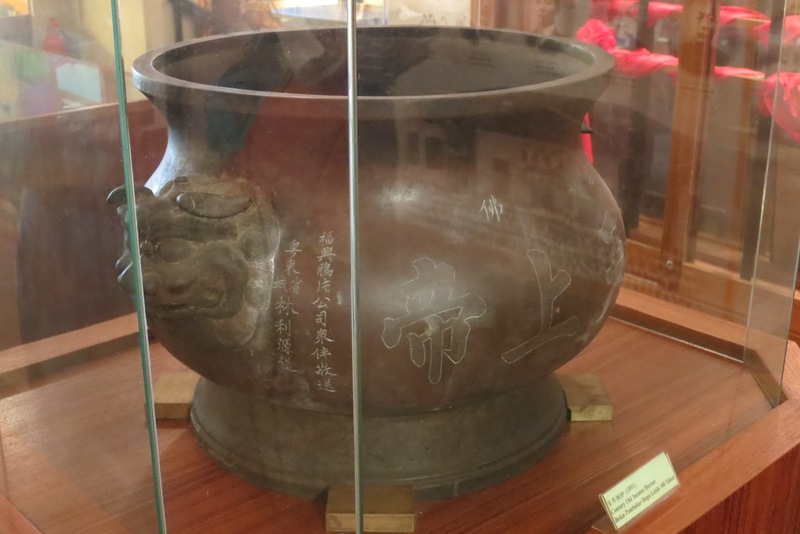 The inscriptions etched into the ancient incense burner said it was donated by Wong Ah Fook’s opium company and in the glass showcase those ceremonial items traditionally carried by the legendary Eight Immortals were once paraded annually in the JB Chingay procession. 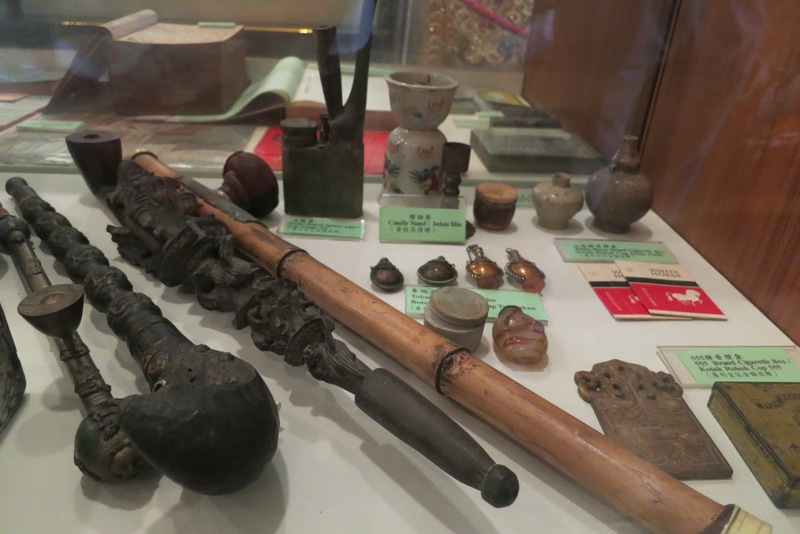 Besides the interesting artifacts from trades common among Cantonese merchants like goldsmiths and carpenters, the Gallery also has a place of honour for grand-uncles Wong Peng Soon and Wong Peng Long, the sons of grandma’s aunts – Mak Kwi Tong and her older sister, Mak Pek Ngiew, who were married to Wong Kwong Yam, Wong Ah Fook’s nephew. With soaring temperatures and sweltering heat, can you imagine living comfortably without an electric fan or air-conditioner? Many of us now live in air-conditioned homes, travel in air-conditioned cars, work and shop in centrally air-conditioned offices and malls, and exist in an artificially cooled environment. If there is no power supply or the cooling equipment broke down, there will be pandemonium because we are so pampered that we cannot imagine surviving in this tropical heat. We immediately reach for something to fan our faces – a loose piece of cardboard or a paper plate – virtually anything that will shift the still, warm air around us. If there was a blackout, there will be no end to complaining and grumbling about the heat until the power was restored. But the well-travelled who have experienced summer in Australia or India, know that our warmest weather is nothing compared to the scorching heat there! 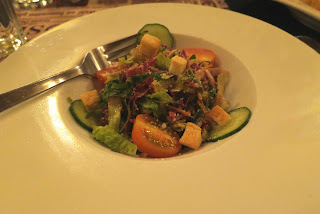 Recently I was a guest at the Long Bar in Singapore’s classic Raffles Hotel. 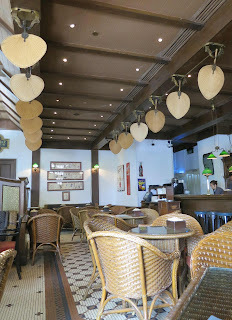 After ordering a Singapore Sling, the bar’s signature drink, I sat back on a comfortable rattan chair to soak in the charm and nostalgia in this destination, popular both with locals and tourists. My eyes were first riveted to the clusters of crushed peanut shells on the floor – and I thought this is probably the only place in Singapore where people are licensed to litter – and as I looked up, I saw rows of satay fans secured to a ceiling contraption that moves back and forth to circulate the air! I thought it was an innovative way to capture the nostalgia of a bygone era even though the fans were just too high up to really cool the guests below. As I observed the rows of fans moving gently in unison, I was amused that the humble satay fan was given a place of honour in a historical building such as the Raffles Hotel, Singapore. That’s because to me, the satay fan featured significantly in my childhood when my siblings and I lived with our grandparents at Johor Baru’s Jalan Ngee Heng. cooling herself with a satay fan! In those days, houses were built without ceiling fans while air-conditioning was a luxury that only the most modern of business enterprises could afford. Grandfather’s house was constructed in bricks and concrete for the ground floor while the upper floor was built with wooden planks. Designed with high ceilings and strategically positioned windows, it not only welcomed in natural light but gusts of cooling cross winds. On week nights, we the school-going children, used to sit around a square wooden table in the upstairs hall to do our homework and study. Two double-door windows on opposite walls, built without any metal grilles – because it was so safe in those days – were thrown wide open for ventilation. I can still remember how grandma’s flowery curtains would furiously flap in the wind as we tried to weigh down the pages of our books with pencil boxes and other heavy objects. that grandma is, as always, holding a hand fan! The satay fan may have earned this name from its traditional association with the satay man who uses it to fan the flames of his charcoal grill but it is a common and essential item in our home. 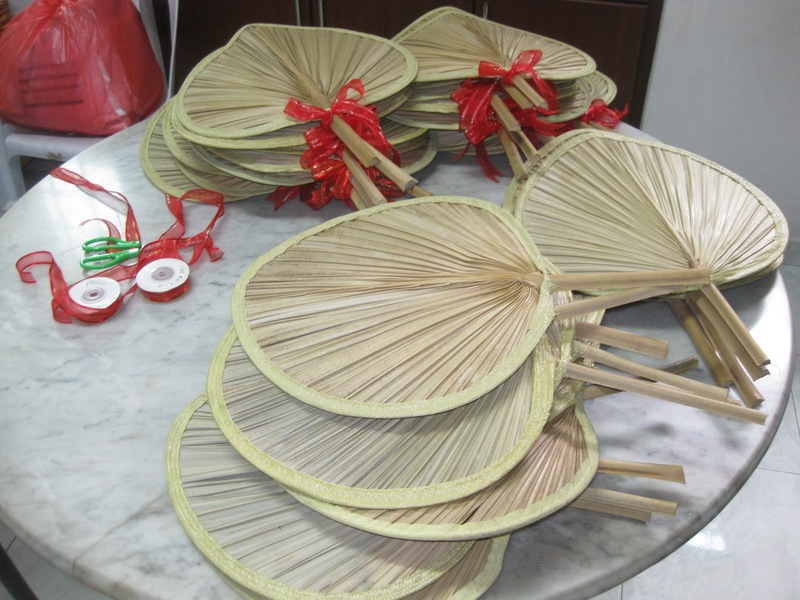 In fact, grandma had several satay fans lying around the house so that she could reach for one at her convenience. Although some were already split and frayed at the edges, they were light and familiar to hold and even now, grandma is seldom without a familiar swaying fan in her hand, regardless of being awake or asleep! Since her younger days, grandma claimed that the satay fan carried the best wind and was most effective in cooling her after cooking over a kerosene or charcoal stove. Very often, she would sit down in her favourite rattan chair in the porch and yell for someone to bring her a hand-fan. And the nearest person who heard her – or the one who wanted to find favour with her – would not hesitate to bring grandma the cooling comfort of that handy satay fan! I remember how we used to go to bed with all our windows shut and Uncle Victor was the only person upstairs who slept with windows opened in his room. It was still cool and comfortable enough to fall asleep but on some humid nights, the trusted satay fan came to our rescue. In fact, everyone had our own hand-fan tucked under our pillow so we could conveniently fan ourselves whenever we had to cool down before dozing off! Last year, while planning the celebration of grandma’s 100th birthday, it was easy to decide that a traditional satay fan should be presented to guests as part of the door gift. Decorated with red ribbons, the satay fan was packaged with Sam Fong brand Hoi Tong pressed powder and a collection of grandma’s specialty recipes and given as a special memento. To this day, the humble satay fan remains significant to us as it is synonymous with our dear 100-year old grandma.